One of the hottest trends that celebrities can’t have enough are t-shirts with slogans. Yes, you heard right. This season it is all about attitude and the sporting a ‘devil may care’ attitude. Well you have to see it to believe it right? Here are out top 5 picks of celebrities who really owned slogan tees this season. Check out which of your favorite stars have made this list. Happy reading. 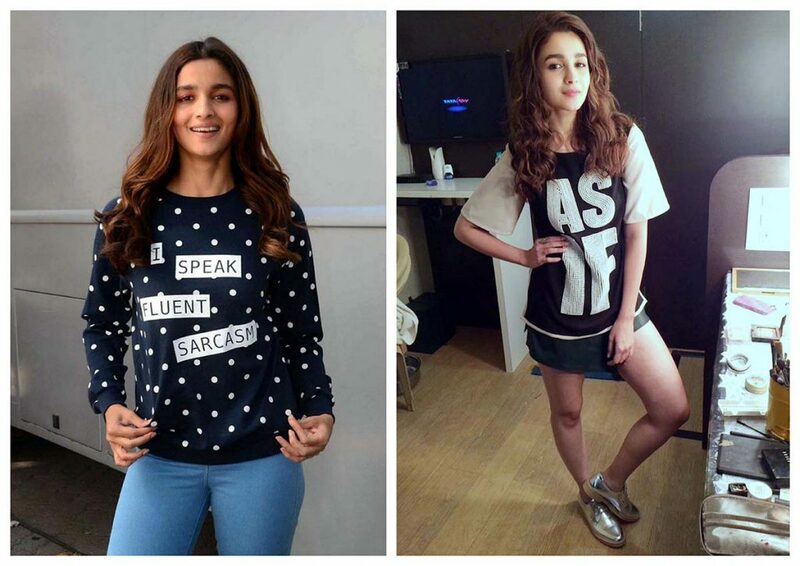 Alia has been spotted several times in t-shirts with slogans and she seems to love it! It perfectly suits her peppy personality. Let’s check out some of the tees that she wore. The super cute star wears what she’s feeling and the slogan on her tee says it all! Another fashionista who loves this style is Kareena Kapoor. Bebo has always been an early adopter and we couldn’t have been happier! 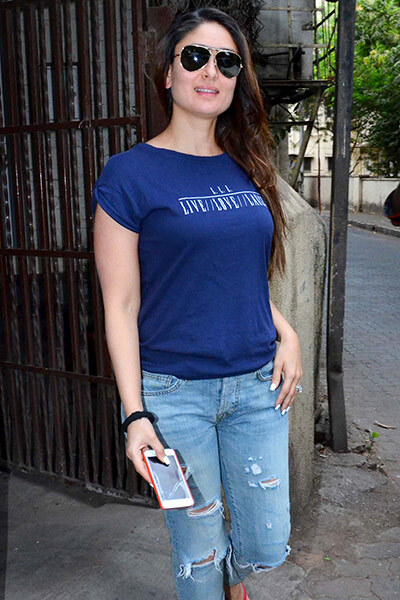 At a promo event for Uddta Punjab, Kareena and Alia sported tees with slogans. They rocked the look! Our favorite desi girl turned Hollywood star, Priyanka, came under a lot of heat for wearing a slogan tee for a photo shoot for the cover of a magazine. The statement was “Refugee Immigrant Outsider Traveller.” Later on the star apologized if it hurt any sentiments. Priyanka is a true fashionista! This Hollywood star has class and shows us the way with another trendy look, just putting a jacket over the tee shirt. We have always been curious about Sonakshi as she is not just your average Bollywood star. She doesn’t talk much about fashion like Sonam Kapoor, but we lover her unique style. This desi girl was snapped wearing a slogan tee while travelling making her airport look all the more interesting. If you haven’t had enough of this fashionista, here’s another take on how she likes to wear slogan tees. Yes, we absolutely love this look and you should consider trying it yourself. Last but definitely not the least, any list would be incomplete without mentioning Shilpa Sheety Kundra. The fashionista know whats hot and what’s not and never misses out an opportunity to make a style statement. The fashionista made this trend her own by using catchy slogans along with her workout outfit for her videos! If this isn’t awesome, then what is? If you like this article, spread the love by sharing it with your friends. Don’t forget to subscribe to our website for the latest fashion updates. Stay stylish!